The Roman PRO-543 1-Quart Universal Wallpaper and Border Adhesive makes hanging wallcovering easy. 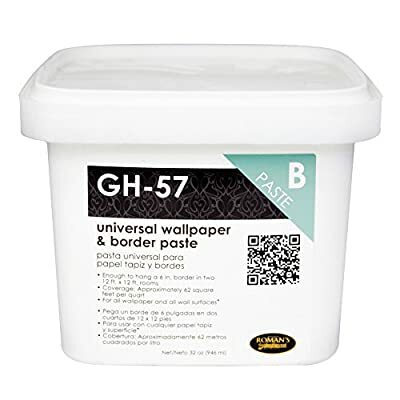 Mold and mildew resistant, the universal wallpaper paste hangs up to (4) double rolls. Provides excellent holding power that can be applied to most smooth surfaces except for poor quality latex paint. The non-corrosive and odorless product does not require a rinse after application and is ideal for use in any room. GH-57 1-Quart Universal Wallpaper and Border Adhesive comes with a 1-year limited warranty.